on music, and check out some lessons. In the few years my website has been up, the thing I get contacted about the most is in regards to cruise ship work. I get all kinds of questions about this, ranging from preparing for an audition to rehearsals on board. I've collected the questions sent to me and would like to present to you the Definitive Guide for Aspiring Cruise Ship Musicians! OK, well maybe that's a bit of hyperbole, but if you're interested in this line of work, I think you'll find the info helpful and will answer some of the questions you may have. I should point out that I am not a talent agent, I can't hire you for a contract. See below for a list of talent agents. As far as tips for the audition... all the auditions had in common the following – sight reading, improvisation, and a prepared piece. Some had an extensive list of prepared pieces they wanted me to video record and submit. The agent may have more than one type of gig they could potentially place you in, so the greater amount of diversity you can demonstrate, the better your chances. Q: Did you audition for the show band/orchestra? Yes. I auditioned alone, not as part of a band. Once you pass the audition and are hired, the agent places you in the "orchestra" on a ship with other musicians you haven't met before. For example, when I show up to the ship, I replace a guitarist who has been there for 4 months, the rest of the band stays the same. A few weeks later, the bass players contract ends, he leaves and the band gets a new bass player for the next 4 months, etc. Musicians in the band swap out every so often. Hence the importance of sight reading. Q: I was wondering how I could meet bands that need a guitarist playing on cruise ships. Good question. I've tried to do this myself, but finding people "on land" in my city to do that hasn't been easy for me. The whole band has to be willing and able to leave home and commit to a 4 - 6-month contract away at sea. This kind of band would be called the Party Band, and you'd play all the crowd-pleasers of classic rock, pop, country, etc. Q: Is auditioning with the cruise line directly the best way to go? Possibly. It seems like some of the cruise lines will pay you a bit more if you're hired directly. In recent years, I've only been hired by agents, so I can't compare the pay from a direct hire to an agency hire. Talent agents will take a cut of your pay as a commission for getting you a contract. Besides the possible difference in pay, I'm not aware of any other way the gig would be different. Q: Should I audition for more than one agent? Why not? If your goal is to work on a cruise ship, it can only help you. Q: How long are the contracts? 4 - 6 months is typical. Q: When given music for sets, do you have time to practice before shows? Yes, but usually not much time. As an orchestra musician playing with guest entertainers, I'll get the music a day or two beforehand at most if it's challenging music. Often I'll get the music a few hours before that evening's show, and if that's the case, the music for that show isn't difficult to play. If you’re a solo lounge act, you’ll probably be able to pick what you want to play and learn it before joining the ship, but the cruise lines will likely expect you to play happy go lucky crowd-pleasers. Q: This question is from a reader that had already auditioned for an agent: One of the charts was easy, but the other one was a written out fast guitar solo, 16th note triplets in D-flat with like 4 ledger lines... so my question is: Do they really expect you to read stuff like that with no preparation? Do people really get fired that easily or is it only if you really mess up bad and just don't care? They don't expect you to read stuff like that with no preparation. You will get the music ahead of time for difficult charts. For example, one of the guest entertainers that has performed on my current ship does a Queen tribute show, and I play the classic guitar solos from Bohemian Rhapsody and Killer Queen. I got the music the night before the show and had time to work out the parts. I have rarely seen a musician get fired for messing up on the bandstand. We don't always perform the music perfectly; there's a certain amount of forgiveness and understanding about making mistakes since there's limited time to prepare. Q: What do you have on your pedalboard? I have a tuner, overdrive, distortion, chorus, delay, and wah. Would that be enough? On my pedal board, I have distortion, delay, wah wah, tremolo, vibrato, and a tuner. Distortion is the main effect I use, but all of these effects have come in to play at some point. You don't have to get every effect out there - nobody has insisted on me using a certain effect, except for distortion. As a musician, it's nice to mix things up sometimes with different sounds to keep it interesting. I don't use effects very much though, there's not much call for it. Q: Were you asked to play solo guitar arrangements? Only for Princess Cruise Lines have I played solo guitar sets. I can do pretty much whatever I want during these. No solo sets for my contracts with Norwegian and Celebrity. Q: Could you describe how the first few days were? How much time did you have to rehearse and stuff like that? There isn't a two week period at the beginning of the contract when you just rehearse. You're thrown into the middle of it - you'll most likely play a gig the first day you get on the ship. For my contracts playing in the orchestra, the rehearsals are the day of the show, supporting a guest entertainer (usually a singer) who comes on board that week. At the beginning of a contract, there's one rehearsal for the production shows, where the band supports a cast of singers and dancers. That's about it for rehearsals - you can practice the music on your own time if necessary. For my gig in the party band, at the beginning of the contract I had a few rehearsals with the band leader to go over the classic rock and Motown tunes we played. After that, there were a couple more rehearsals down the road when there were new singers that came on board that needed to review the songs with us. We added a few tunes that the band needed to learn, so we a had a couple of rehearsals to learn the new songs. Rehearsals are about an hour. Other than that, the first week involved a lot of training classes about life on board a ship, company policies, etc. Q: How does the job differ between the lines you've worked on? For Celebrity and Princess, I was/am in the orchestra, and the job is very similar on both cruise lines. I play a Dixieland set occasionally on Princess, Celebrity didn't have that. I play a solo guitar set a couple of times each cruise for Princess too, which seems to be unique to Princess. Additionally, on Princess, I have what's called In Port Manning once a cruise. This means that I have to remain on board the ship when we are in port, in case there's some kind of safety emergency. For my Norwegian Cruise Line contract, I was in the Party Band. Half the week we'd play jazz standards during dinner. Once a week we'd play at a "1950's rock n’ roll sock hop", and a pool set once a week, playing lots of Motown. Q: If you had to pick, which cruise line would you rather work for? There are lots of rules for crew members on a cruise ship. Princess seems to be the fairest with them, so that's my pick. Q: Any survival tips for once I'm on board? As a musician on a cruise ship, you'll have a fair amount of downtime (that is, not performing). When the ship is in port and the passengers get off to see the sights, the musicians don't play. So take advantage of traveling and see the sights too. I think it's important and healthy to just get off the ship, get coffee and wifi and walk around, especially if you have an itinerary that involves a few consecutive days at sea (like my current contract - 3 days at sea, 6 days of ports, then 3 more sea days in a row). Even during sea days, you will work at most 3 hours a day. You may want to bring books or something else to occupy your time. Or you could just practice a lot, which is what I do. Norwegian had a lot of training classes that they required everyone to go through that discussed issues relating to life on board a ship, and they were helpful. For the most part, surviving here is common sense: be polite, respectful, etc. Going to the gym has been helpful for me, keeping those endorphins flowing. Make sure to get some sunlight during sea days, it can be tough when you aren't getting off the ship, so get on up to the open decks. Q: How do I get a job working as a musician on a cruise ship? 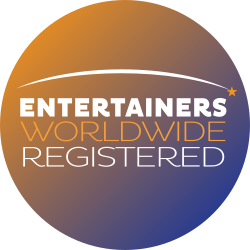 The talent agents I know of are Suman Entertainment, ProShip, Landau Music, and Oceanbound Entertainment, and Quality Overseas Entertainment. Additionally, I've been able to reach Carnival and Holland America Cruise Lines directly, as both seem to have an easier to reach on-site music department hiring manager. I have auditioned for all of them, and all should be easily findable with a Google search. So that's my insight about auditioning for and working on a cruise ship as a musician. If you have any other questions and would like to talk with me further about the whole thing, we can set up a time to Skype about it for a fee. But your best bet is to just submit your audition videos and give it a shot. Good luck!